Don't let your LEGO city be destroyed by the evil Ogel. Assemble the LEGO Alpha Team and fight back! This is a BRAND NEW set of LEGO® Alpha Team Sets: 4744 Tundra Tracker from 2004. This set is still factory sealed, however the circular image changing hologram has come unglued and fallen into the box. The box itself has some minor shelf wear. 139 pieces and 2 minifigures©. This is a BRAND NEW set of LEGO® Alpha Team Sets: 4745 Blue Eagle vs. Snow Crawler from 2004. This set is still factory sealed and the box is in good shape with minor shelf wear. 255 pieces and 2 minifigures©. 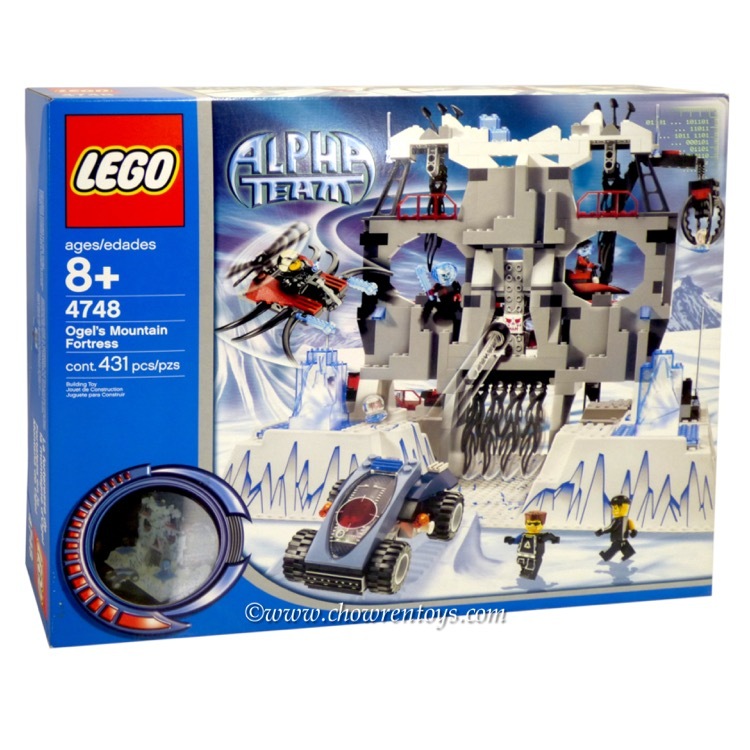 This is a BRAND NEW set of LEGO® Alpha Team Sets: 4748 Ogel's Mountain Fortress from 2004. This set is still factory sealed and the box is in very good condition with minor shelf wear. 431 pieces and 5 minifigures©. This is a BRAND NEW set of LEGO® Alpha Team Sets: 4796 Ogel Mutant Squid from 2002. This set is still factory sealed and the box is in very good condition with minor shelf wear. 61 pieces and 1 minifigure©. 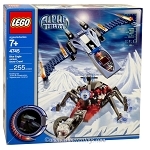 This is a BRAND NEW set of LEGO® Alpha Team Sets: 4774 Scorpion Orb Launcher from 2005. This set is still factory sealed and the box is in very good condition with minor shelf wear. 227 pieces and 2 minifigures©. This is a BRAND NEW set of LEGO® Alpha Team Sets: 6775 Alpha Team Bomb Squad from 2001. This set is still factory sealed and the box is in very good condition with minor shelf wear. 190 pieces and 2 minifigures©. 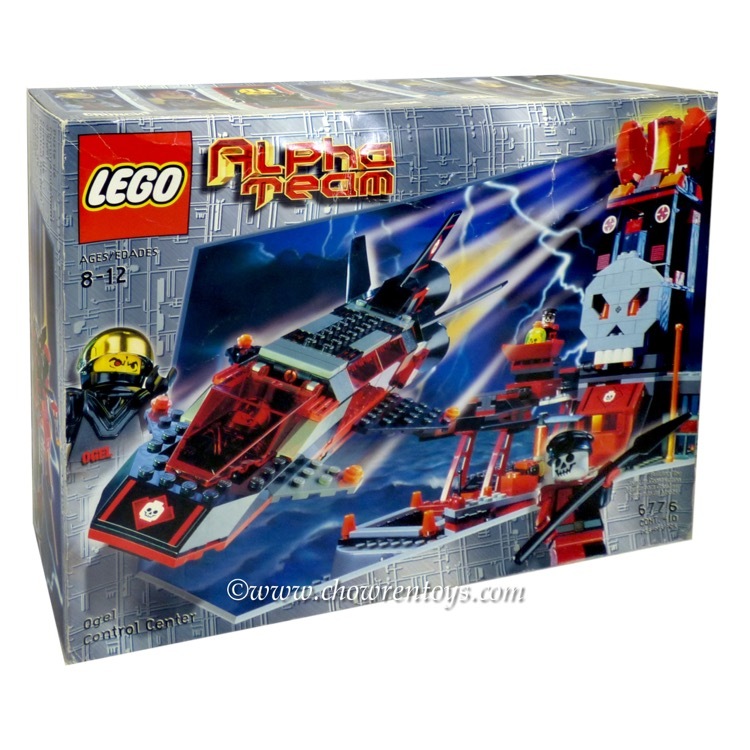 This is a BRAND NEW set of LEGO® Alpha Team Sets: 6776 Ogel Control Center from 2001. This set is still factory sealed, however the box is in rough shape with wrinkles, creases and shelf wear. 411 pieces and 3 minifigures©. This is a BRAND NEW set of LEGO® Alpha Team Sets: 6775 Alpha Team Bomb Squad from 2001. This set is still factory sealed, however the box is in rough shape with wrinkles, creases and shelf wear. 190 pieces and 2 minifigures©.